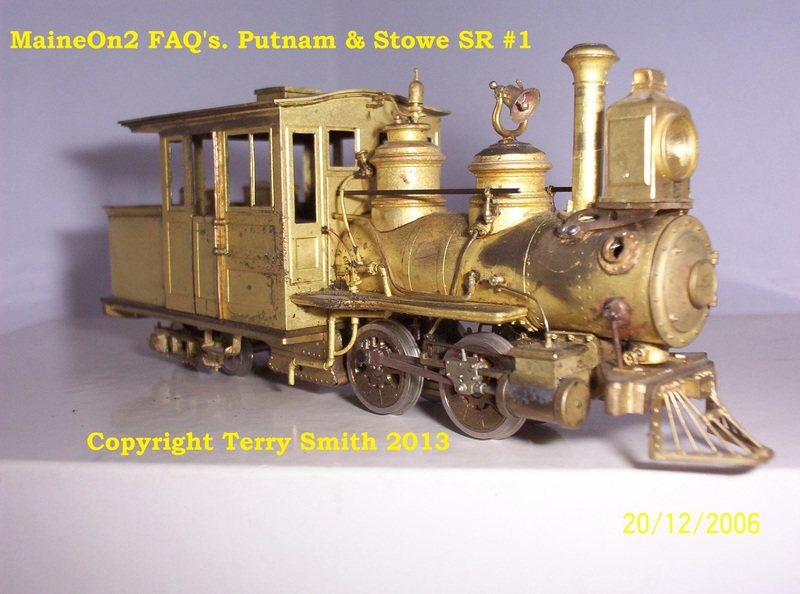 Chester Louis sent in these pictures of his re-build of a Putnam & Stowe model for use on his Deerfield River layout. 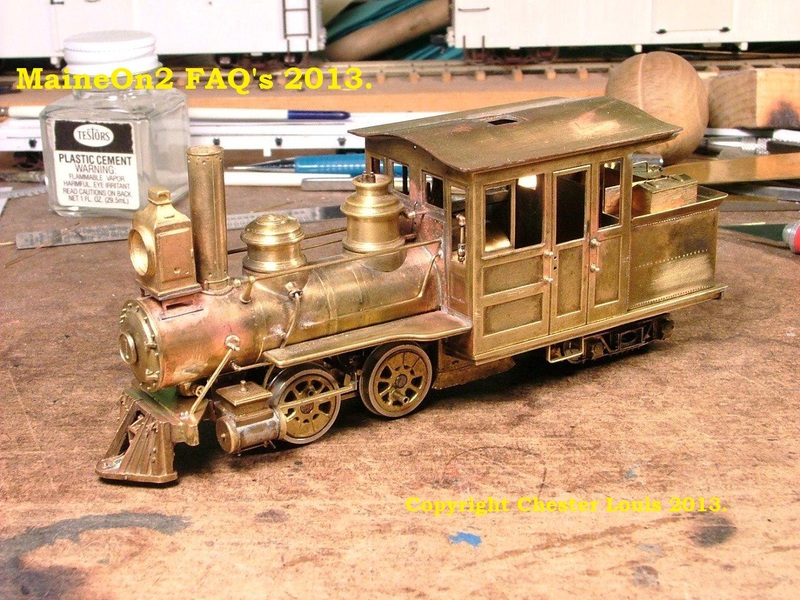 Beautiful work and interesting backgrounds. 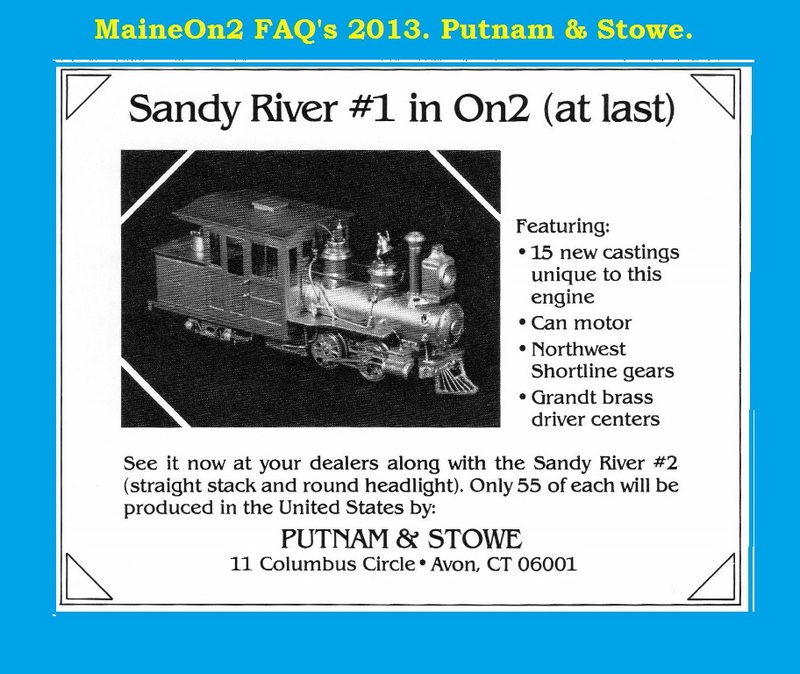 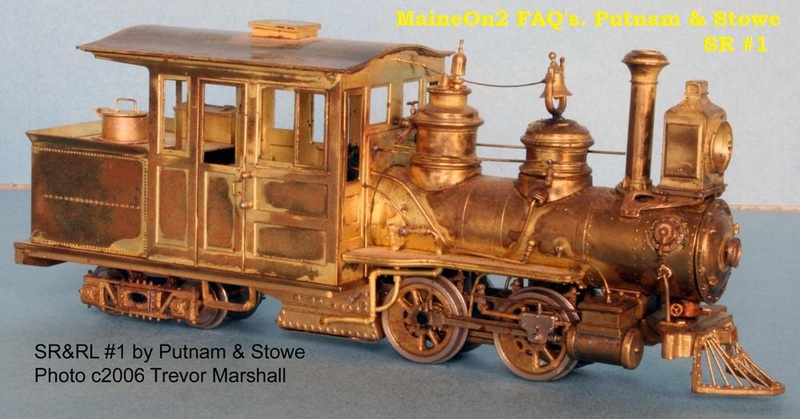 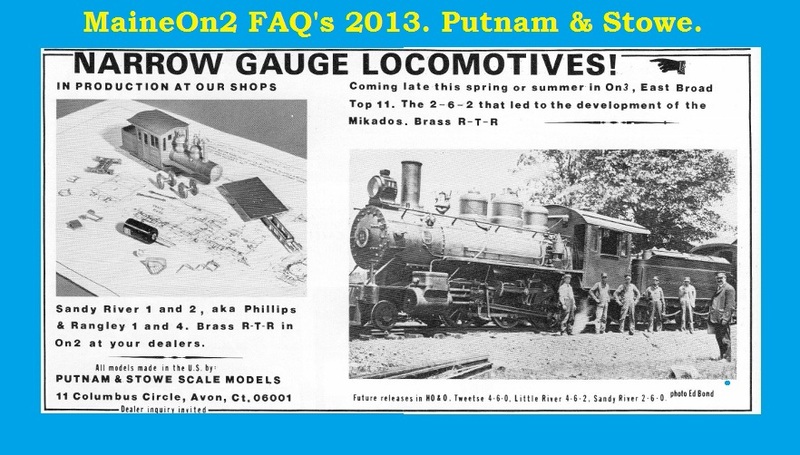 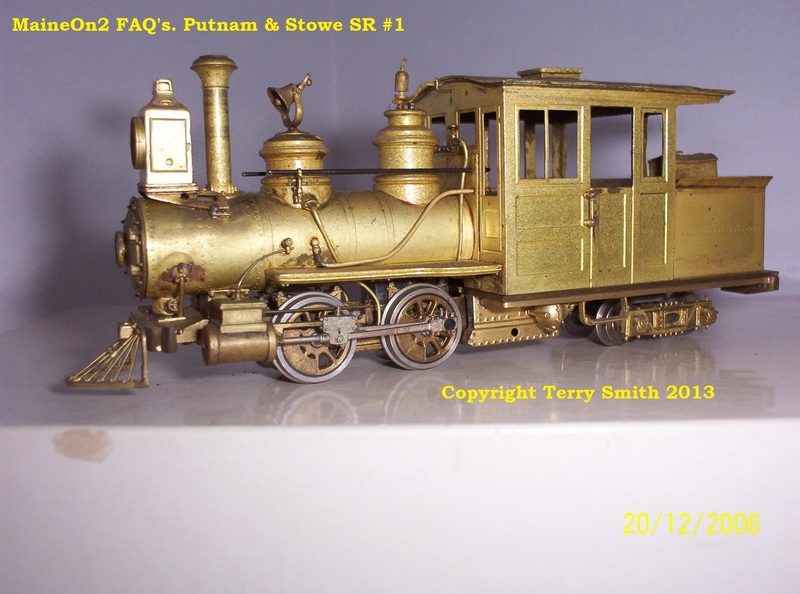 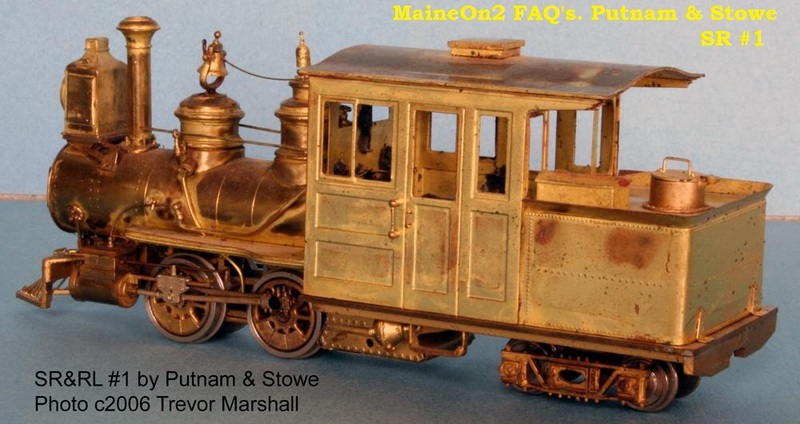 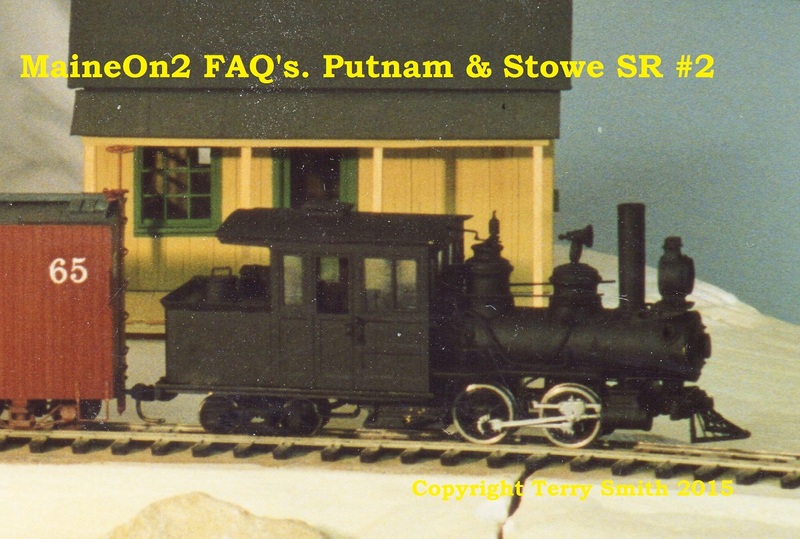 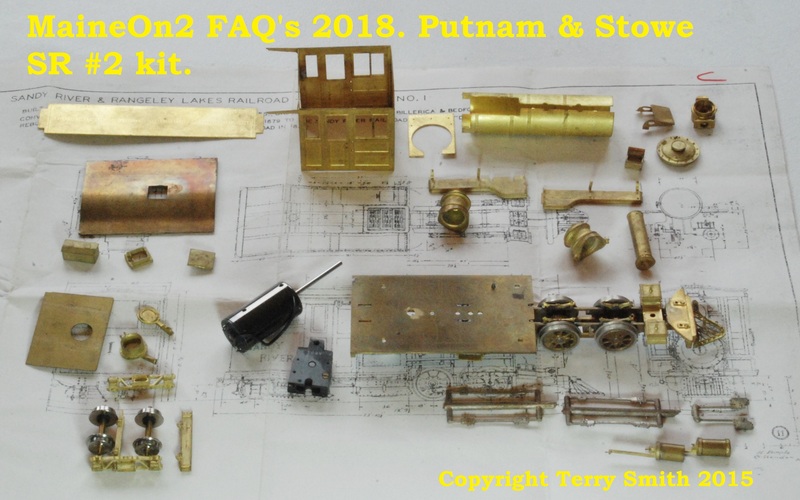 The picture below shows Putnam & Stowe SR #2 model, distinguished from the #1 model by a having straight stack and round headlight. 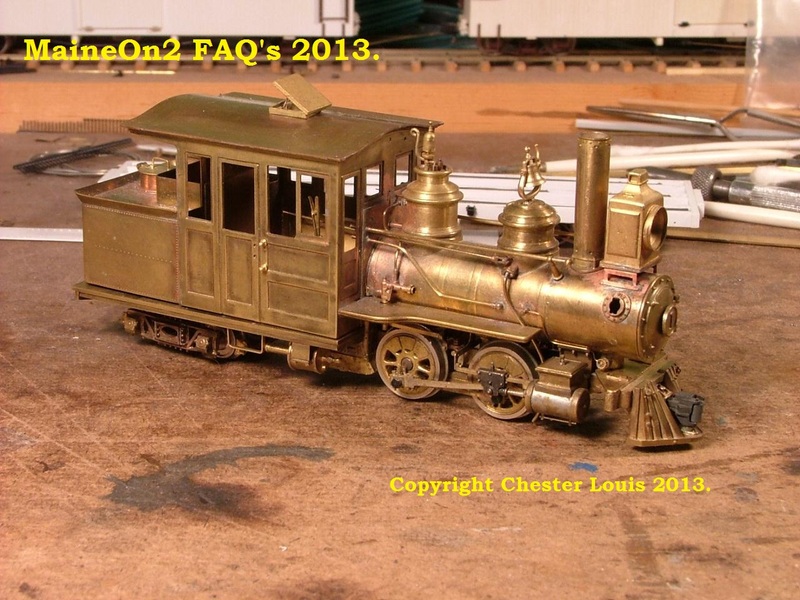 A small number of kits were produced at the end of the main build program. 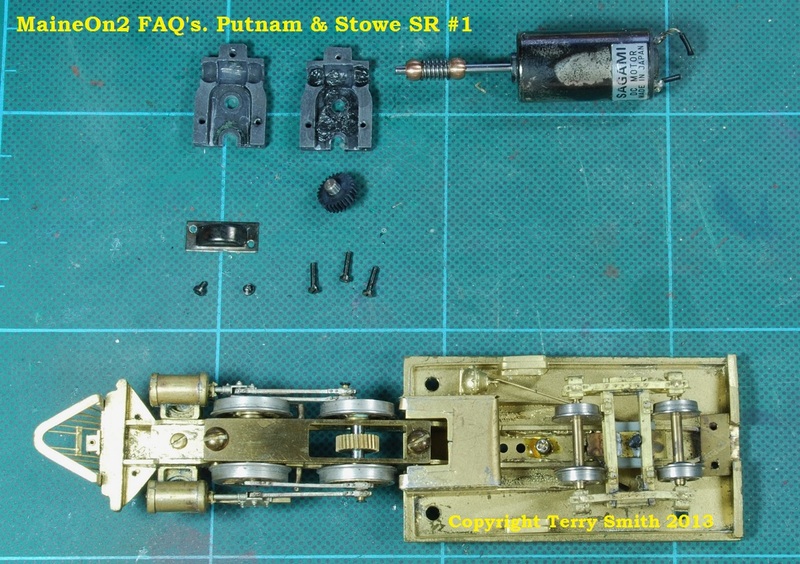 This picture shows the main components of a kit for a Sandy River locomotive #2 model. 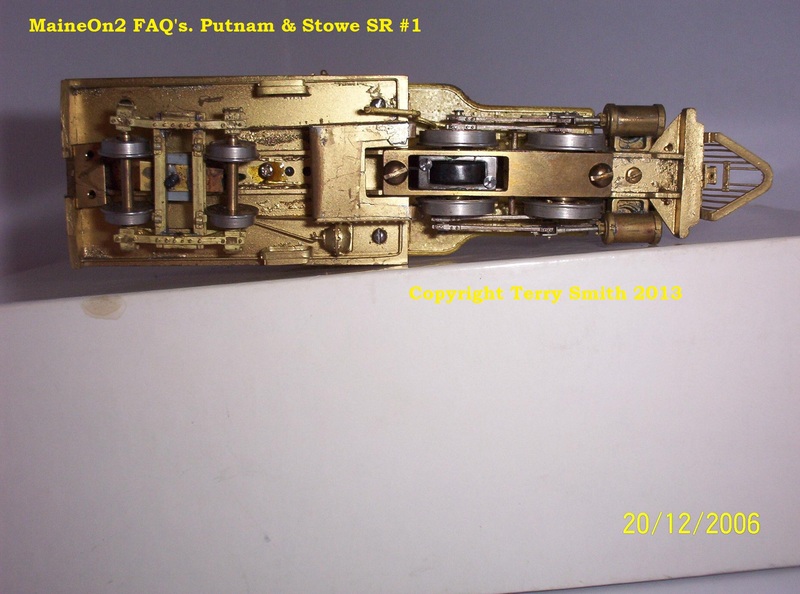 Note this particular model has no engineered arrangements for sideways displacement of the rear truck, however a similar completed model has run around Precision Scale flex track accurately curved to 48″ radius without problems. 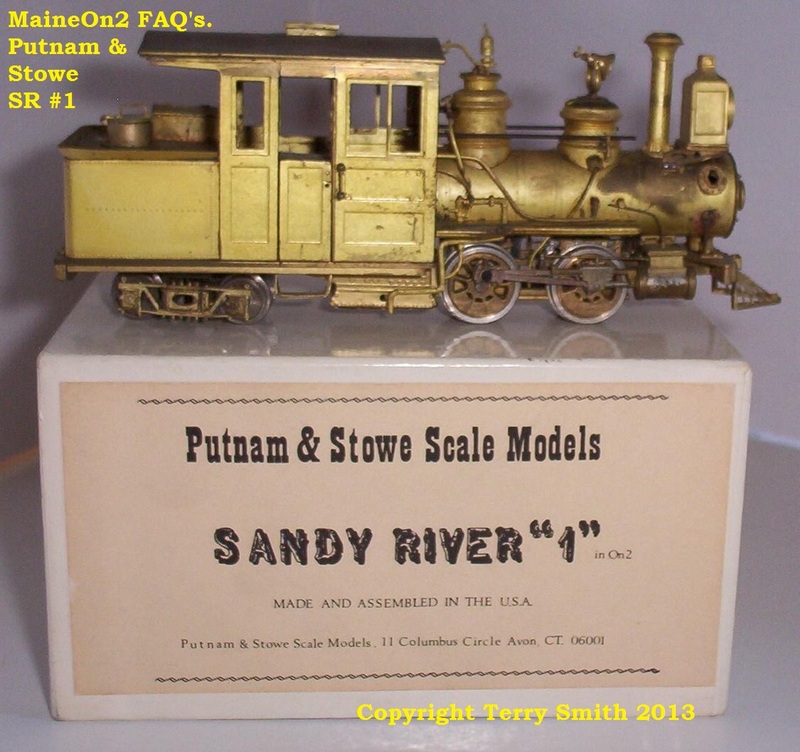 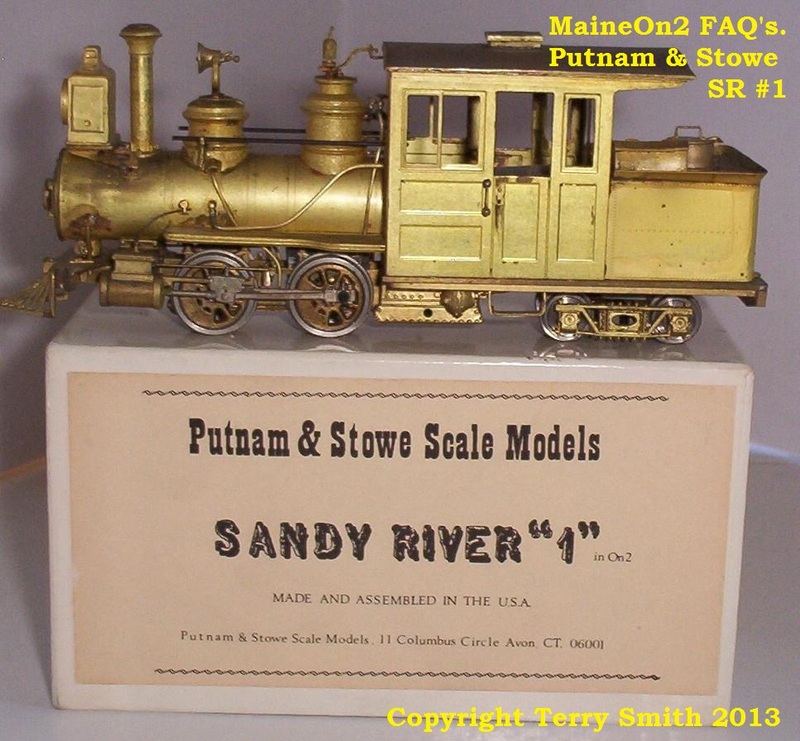 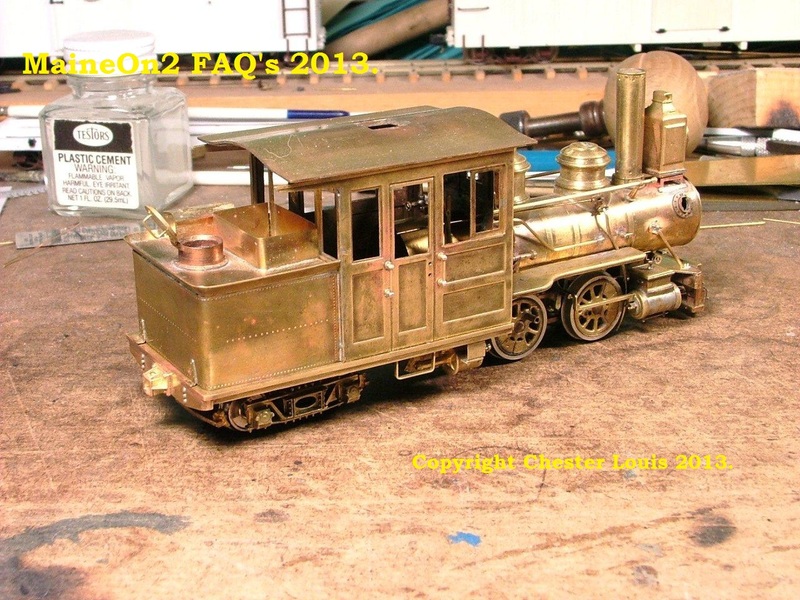 For more pictures of the basic body and chassis & drive arrangements see Putnam & Stowe – Sandy River locomotive #1. 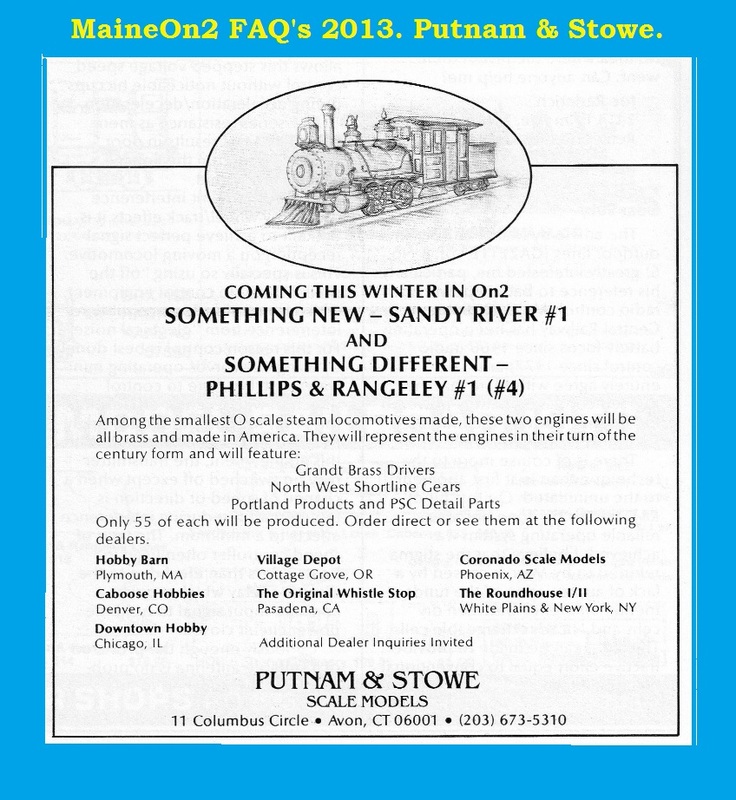 Click here to view on another page. 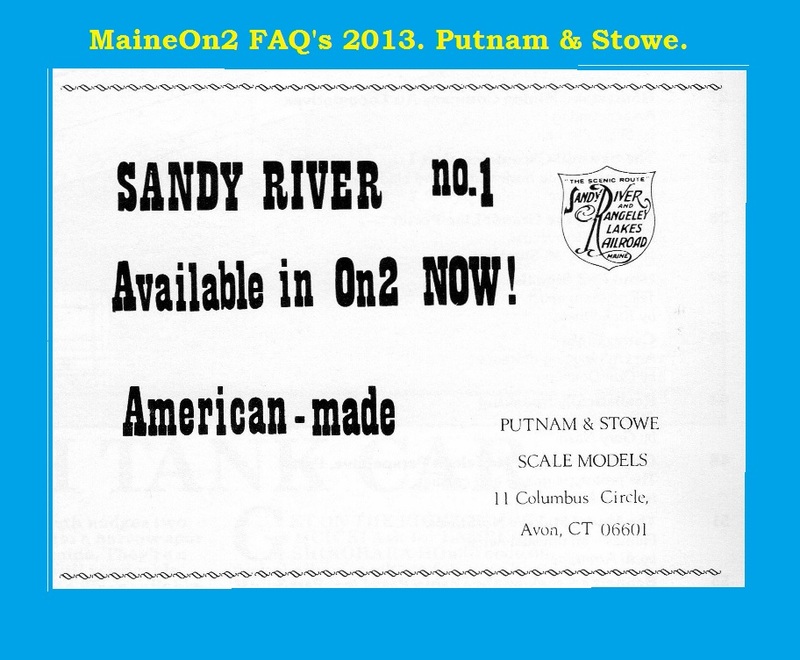 Sandy River & Rangeley Lakes #4 (1908 – 1912).